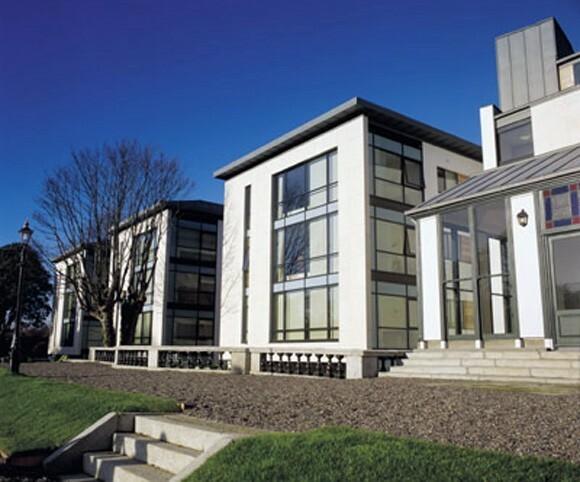 The new student accommodation provides for a total of 114 apartments situated on the Blackrock Campus of University College Dublin, known as the Michael Smurfit Graduate School of Business. 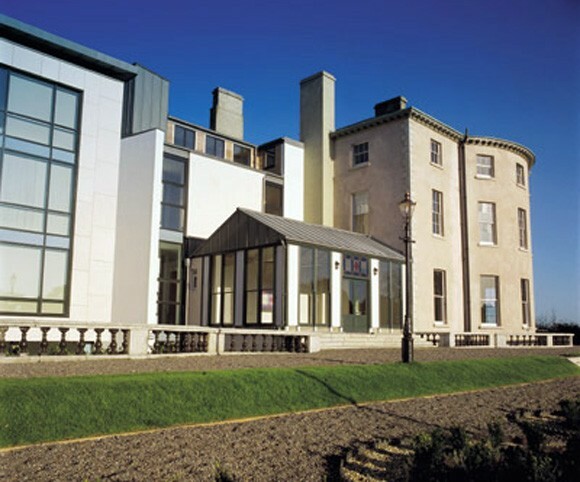 The blocks are 4 storeys in height and each storey of each block has one separate ‘house’ unit, containing generally 6 individual study bedrooms and a common kitchen/living spaces either face southwards and over look the park and the lake, or northwards onto the management house garden. 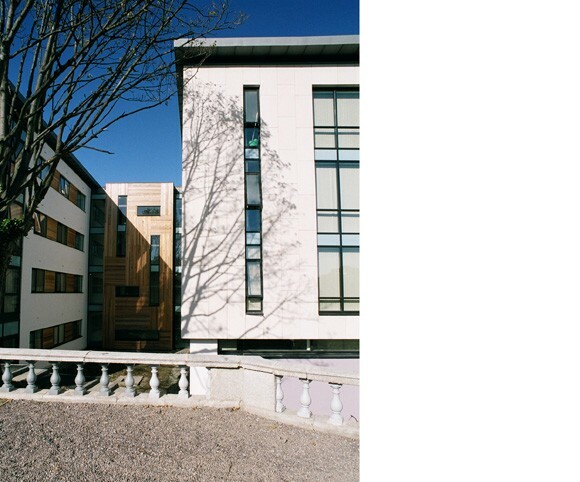 A new glazed entrance lobby is provided at the node between the Grey house and Management house and the new residential development. . All major vertical circulation is centred at this point. 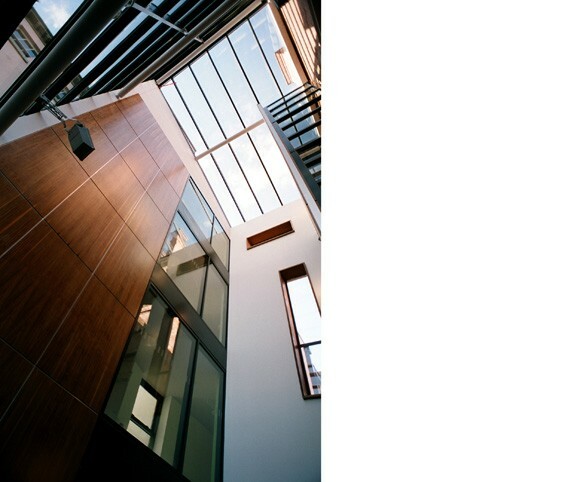 It takes the form of a glazed four-storey atrium and thus reflects the importance of its function. 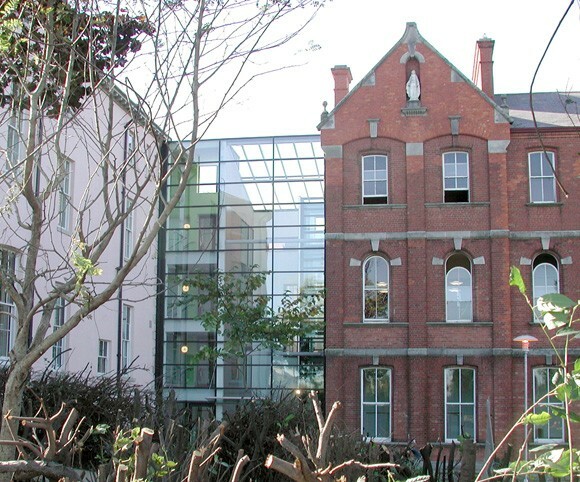 Extensive refurbishment works were carried out to the ‘Grey House’ – in order to protect and upgrade the fabric and structure as well as develop its use as student accommodation on the upper levels, seminar room on the ground floor entrance level and Drama Studies Department at basement level.